As Israel ramps up construction of settlements in the Occupied Palestinian Territory (OPT) with added cover from the Trump administration, we should recall that not only does the establishment and maintenance of the settlements constitute violations of international law, but so do all private transactions and business dealings in or related to the settlements, which Israel has effectively integrated into its national economy. UN Security Council Resolution 2334 of December 2016 affirmed that Israel’s settlement activity in the OPT has “no legal validity and constitutes a flagrant violation under international law,” but did not clarify the nature of the legal consequences and risks that states and private actors may incur from activities in or related to the settlements. The database is a unique transparency tool and soft power enforcement mechanism that could provide a service to states and their corporate nationals who may become involved in illegal business activities. 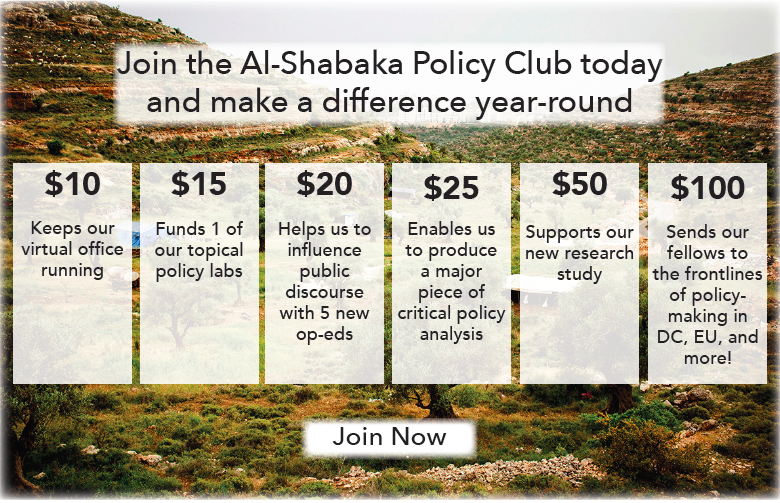 Many states realize that the initiative is an opportunity to develop a blueprint for a tool that would monitor activities in high-risk business environments not only in Israel’s settlements, but in other ongoing cases of occupation and annexation. The mechanism would help states protect their legal orders and business communities from the consequences of breaches of international law entailed by business activities in settlements. The OHCHR’s January 2018 report begins the process of elaborating the methodology and working procedures for this mechanism. 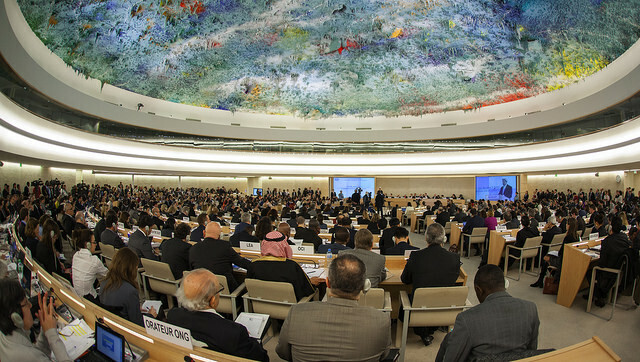 During its latest session in March 2018, the HRC acknowledged the importance of this task and the need to continue to support the OHCHR in its endeavor. Member states stressed the need to ensure the integrity of the work and to provide political “safe space” for the elaboration of the mechanism’s proper normative framework and working procedures. This initiative to address rights abuses in the context of Israel’s occupation has unsurprisingly drawn attacks. Israel, the US, and others claim the database is a “blacklist” that singles out Israel for criticism and encourages the adoption of sanctions and boycott measures against all Israeli entities. They also criticize the UN for spending scarce resources and acting outside its authority as an adjudicative body. Some UN officials and states have argued for the need for another HRC resolution to allocate the financial and human resources required to establish and sustain the database. The importance of providing businesses with legal guidance and information about other businesses’ activities should drive states to ensure that the OHCHR is able to operate impartially and with the necessary means. It is crucial that the database be represented in the public debate and in diplomatic circles as the only kind of mechanism that the UN and its member states could have contemplated in line with international law: a tool for compliance control and transparency. Instead, thus far it has widely been misrepresented as a “blacklist.” Only an approach that understands the contribution of this interpretative exercise to the international rule of law can provide the OHCHR with bases to refute the criticisms against the initiative and enable it to engage states to support the project in the face of attempts to obstruct it. The UN Guiding Principles on Business and Human Rights require businesses to assess whether their operations have a harmful effect on human rights and to mitigate such harms by, for instance, engaging with local communities and altering particular production or supply lines. Businesses are required to abstain from activity in business environments where harms cannot be mitigated. HRC resolution 31/36 affirms that a business undertaking operations in Israel’s settlements is unable to mitigate the adverse impact of its activities on the severity and frequency of violations of human rights. The reason for this is that all transactional activities with entities based or operating in Israeli settlements contribute to the systemic violations of individual and collective human rights that result from the wrongful appropriation, allocation, and enjoyment of property rights vis-à-vis land and other natural resources. Thus any business that is based or operates in the settlements is contributing to illicit financial flows generated from illicitly constituted and wrongfully enjoyed property rights. To guarantee their compliance with international standards, businesses must therefore terminate all their business activities that extend to the settlements. If the business fails to do so, the home state authority must shoulder the burden of regulating the business’ activities and protecting domestic subjects from exposure to the risks created by such transnational activities. In establishing the database, the OHCHR is tasked with providing interpretative guidance on the ways in which companies and individuals acting as procurers, investors, and consumers may contribute to and benefit from violations of international law in occupation. While many such cases may not meet the high threshold of civil and criminal liability for complicity, they may still be liable to legal risks under provisions of domestic law of the business’ domicile country. They may also detrimentally affect the legal order of the company’s home state if it fails to regulate the proceeds and rights acquired by its business in the context of such transnational activities. Put differently, a company whose activities fall outside the international framework may nevertheless incur consequences under its home state’s domestic law. The database is a chance to calibrate the application of the UNGP to business environments in situations of occupation in a manner that would raise both businesses’ and home states’ awareness of their responsibilities and of the risks they incur when engaging in certain business activities in settlements in occupied territory. States that have committed to the implementation of the UNGP in their domestic law and policy would benefit from guidance ensuring that their domestic regulatory authorities are appropriately equipped to provide adequate regulation of activities in the settlements and certain types of transactions related to them. The database should ultimately be looking to provide guidance that would generate a deterrence effect. It would help third party states protect their legal orders and subjects from inadvertent involvement in violations of international law. Therefore, home states are not only obligated in international law but also have a self-interest in providing the necessary guidance and regulatory incentives in domestic law that would enable such calls of judgment by their corporate nationals. Legal characterizations are also likely to encourage larger businesses to vet potential business partners for their involvement in abuses in occupied territory. Despite this important task, both proponents and opponents have dubbed the database a “blacklist” – a semantic twist that is intended to undo the image of a soft mechanism with a mandate to document, report, and engage interested parties into a coercive tool that shames offenders into compliance. This unfounded image of the database’s function and purpose intends to mislead states and business of its proper purpose in line with the OHCHR’s mandate. The database is neither tasked with the adjudication of the responsibility and liability of concerned parties, nor is it institutionally equipped to engage in law enforcement activities. This punitive vision of the database has arguably already alienated key target audiences. To enable the database to offer a real service to states and businesses as duty-bearers, it should take a cooperative and non-adversarial approach to compliance control. This approach will ensure the mechanism’s legitimacy and the credibility of its decision-making process with regard to entities or individuals included in the database, along with ensuring the mechanism’s ability to formulate and follow a robust methodology and set out a normative framework that sensitizes foreign home states and their business communities to their responsibilities in international law. The OHCHR must show that it is committed to making the database a transparent and proactive monitoring mechanism intended to further compliance with international law. To this end, the OHCHR should aim to engage in a detailed presentation of the normative framework, criteria, and methodology it will use to decide on the kinds of business relations it will aim to include in the database. It must answer the following questions clearly and transparently: Why are the settlements a business environment in which all forms of business relations have an adverse impact on human rights? Which businesses and which specific types of transactions would be deemed to be wrongfully contributing to and benefiting from settlements? It should also make public its rules of procedure, including the avenues for businesses to address the mechanism, challenge its decisions, and provide up-to-date information about their activities. These elements would serve the dual purpose of due process in specific instances, as well as facilitate the dissemination of knowledge and generate pre-emptive deterrence in different industry circles. A robust approach to these normative questions is critical to the legitimacy of the UN’s decision to include a business on the database, as well as for convincing businesses and their home states of the value of this regulatory initiative. Since 2013, 18 European government advisories have warned businesses of the economic, financial, and legal risks of conducting business in Israel’s settlements in occupied territory. This advice has coincided with a notable wave of decisions by companies in such countries as Norway, Denmark, and the Netherlands to terminate contracts and abstain from undertaking activities in or related to the settlements. The database would provide authoritative guidance on the basis of such decisions in international law and further the urgency of accelerating such practices. The regulatory logic that underpins the database is not unknown to international organizations. While the database may be the first of its kind established by the OHCHR, it is not the first UN initiative to monitor and inform publics about companies committing human rights violations. Previous efforts include the UN Center for Transnational Corporation’s monitoring and reporting on companies operating in apartheid South Africa, and a UN panel on the plunder of resources in the Democratic Republic of the Congo (DRC). These precedents also show the potential pitfalls of such initiatives: The South Africa list lacked support from member states, in part for being rolled out as part of the deliberation on sanctions – which came with concerns on their effects on innocent populations, including those whose liberation from apartheid was being sought. The DRC list failed to gain companies’ cooperation, highlighting the significance of clarifying the basis for legal obligations and constructing the right legal narratives about the purpose and function of such projects. A key feature of the narrative surrounding the initiative in question is the potential for universalizing the standards set out and applied by the database to other ongoing cases of occupation maintained with the aim of forcibly acquiring or disposing of territory. This may include Western Sahara, Nagorno-Karabakh, Northern Cyprus, Transnistria, South Ossetia and Abkhazia, and, most recently, Crimea and eastern Ukraine. The much-needed guidance on the immitigable character of some business activity from the perspective of the business’ responsibilities to respect human rights may also be applied to other business environments characterized by structural violations of international law beyond cases of occupation, such as systemic abuses of labor rights, unlawful expropriation of land, and illicit exploitation of natural resources. A further contribution of this mechanism is the protection it extends to domestic legal orders. Domestic laws that regulate corporate actors in their domicile countries are in most cases able to account for a business’ transnational activity by assigning consequences to certain rights, titles, and entitlement acquired by the company through its overseas activities. Such domestic regulation measures may not provide current victims with access to reparations, but they could provide a form of redress for future victims by challenging in a third state jurisdiction the involvement of companies in the structures that enable serious human rights abuses. To further the significance of the OHCHR’s work on this mechanism, and to gain support from third home states, Palestinian representatives should actively engage the UN, third states, and civil society to support this process. Key to this is the dissemination of accurate information about the database’s purpose, functions, and prospective contribution to international law enforcement. Supporting this initiative would offer guidance to business communities and investors on activities that may relate to a number of ongoing cases of occupation maintained with the aim of annexation or forcible secession. Support from third states and the UN system is key to ensuring the continuation of the process and guaranteeing the integrity of the mechanism. European governments wary of the politics surrounding the database have noted that their support is conditional on the ability of the OHCHR to align its decision-making process with existing international standards. Some note explicitly that this caution is a result of the lack of clarity about the mandate for this mechanism and the UN’s failure so far to substantiate the link between, on the one hand, the international wrongs and the illegal situation to which such business actually contributes in all cases, and, on the other, the list of exemplary business activities in the 2013 UN fact-finding mission on settlements’ report, on which both HRC resolution 31/36 and the UN’s first progress report on the database’s establishment rely. The OHCHR should elaborate and make public a robust normative framework that is accessible and understandable to business and non-expert stakeholders. This framework is necessary to substantiate the methodology and thresholds that it will use to decide on the inclusion of a company on the database. Since these features of the mechanism are critical to its proper function, their elaboration and publication should coincide with the timely publication of the names of the companies that have already been vetted. The UN’s surrender to political pressure and states’ reluctance to support this initiative risks creating an unacceptable precedent that brings the commitment of third states to implement the UNGP into disrepute. Al-Shabaka Policy Member Valentina Azarova is a visiting academic at the Manchester International Law Centre (MILC), University of Manchester, and a strategic and legal adviser to the Global Legal Action Network (GLAN). Valentina received her PhD from the Irish Centre for Human Rights, National University of Ireland, Galway. She was a co-founding member of the Al-Quds Bard College, Al-Quds University, where she directed and taught on the human rights program for five years (2009-2014). She also taught at Birzeit University’s Graduate Studies School (2014-2015). Since 2008, she has worked at HaMoked – Center for the Defence of the Individual; Al-Haq; and the MATTIN Group, and consulted a range of international and inter-governmental organisations on international law as it relates to the Israeli-Palestinian context. Her research concerns the role of third parties and the contribution of domestic and transnational regulatory processes to the enforcement of international law. Her publications can be accessed here.